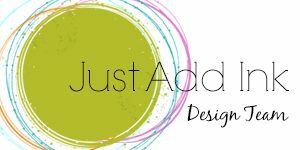 Just Add Ink: Just Add Ink #434..."Big Bold Sentiment"
It's time for our new challenge here at Just Add Ink....but just before we get to that we have some exciting news to share!! At last weekend's Stampin' Up's On Stage Events, they announced the16 member International Artisan Design Team members for the coming year and we are so excited to share that THREE of our lovely JAI design team members are amongst them!! So please join with us in giving a huge Congratulations to Jackie Aitken, Rochelle Blok and Narelle Farrugia!! We are so excited for you and proud of you and know that you will all do an amazing job in the year ahead!! So back to this week's challenge.....😊Nikki has suggested a fabulous, fun and graphic task for us - to Just Add a Big Bold Sentiment to our projects. As you can see from the design team's samples, there are so many themes and options to choose from and we hope that you will enjoy this challenge as much as we did! !